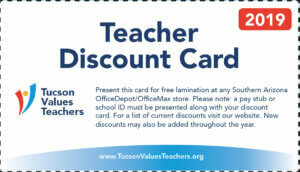 Tucson Values Teachers and OfficeMax/Office Depot presented the January Teacher Excellence Award on Tuesday, Jan. 29 to Danielle Swartz, a 1st grade teacher at Innovation Academy in Amphitheater Public Schools. Swartz, now in her seventh year of teaching, also serves as the 504 coordinator and the Kindness Club leader at Innovation Academy. 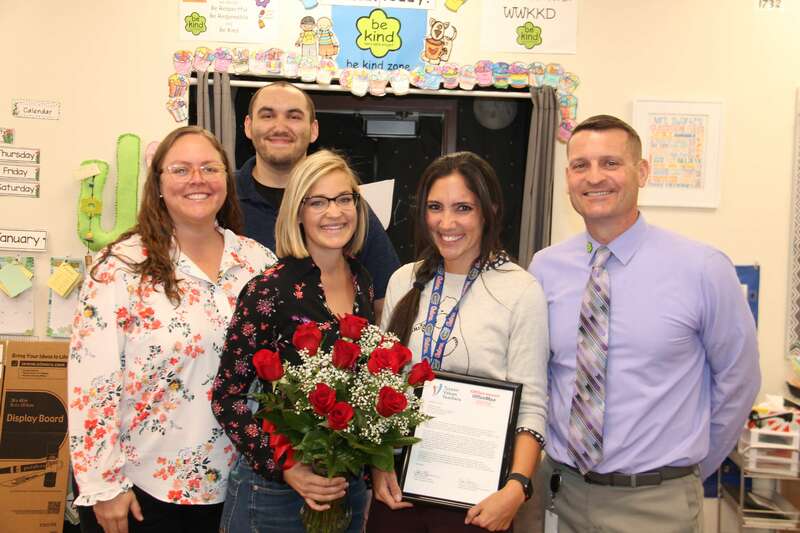 Her classroom projects have received awards from the Southern Arizona Research, Science and Engineering Foundation and last year she was selected as the STEMAZing Teacher Leader. Her friend and colleague, Capella Hauer, nominated Swartz for the award. Hauer works for the district as a social worker at Holaway and Keeling elementary schools. In her nominating statement, Hauer said, “I’ve seen how Mrs. Swartz takes the whole child into consideration.